7 Ah capacity, Made by Power Star Inc. 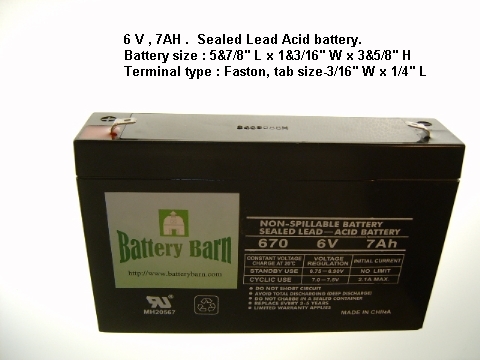 Please see the picture for the dimensions of the battery and the position of the terminals. Weighted 2.8 pounds. This battery only can be shipped to US zip code address. Sorry! we can't take oversea or Canada order for the battery.